Explore the heart of America with this itinerary that will take you on a journey of a lifetime visiting some of its most iconic cities and landscapes. 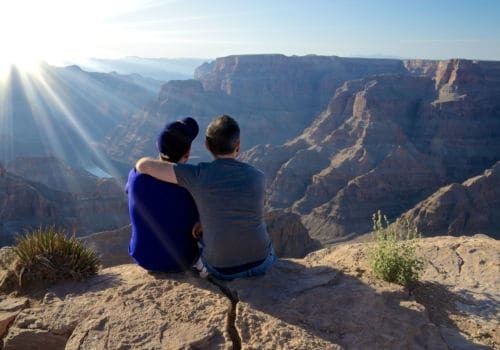 Starting in Los Angeles, you’ll spend time in the City of Angels before heading to explore the national parks of the Grand Canyon, Bryce, Death Valley and Yosemite. 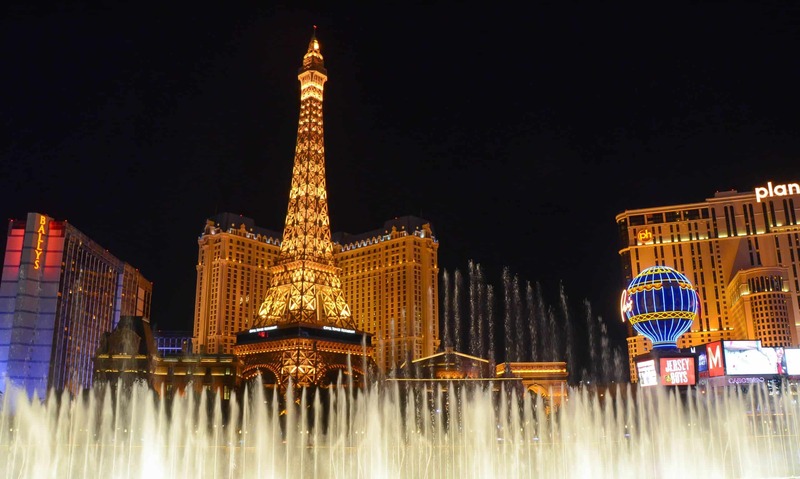 You’ll also take in bright Las Vegas before finishing in beautiful San Francisco with its cosmopolitan vibe and liberal lifestyle. Fly to Los Angeles and pick up your wheels. 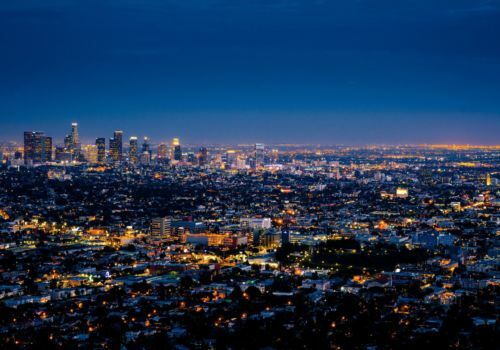 Nicknamed “the city of angels”, Los Angeles is known for its cinema, chic neighbourhoods, celebrities, legendary beaches and Palm trees, but the city is equally renowned for its museums and shops. Los Angeles offers you all the choices you can imagine. It can be difficult to navigate Los Angeles. 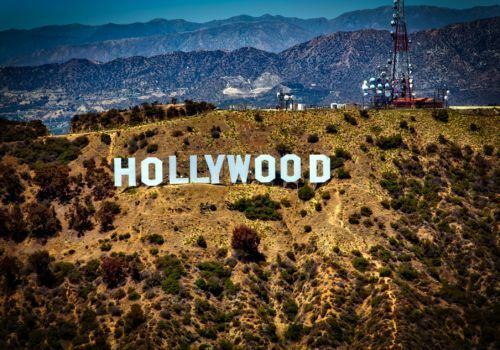 Book a half day City Tour with a guide and complete your experience by visiting Universal Studios, or go shopping on Rodeo Drive before heading to the bars of West Hollywood in the evening. Today, your destination is Kingman, the historic centre of Route 66. Stop in Oatman, a mining village that has maintained its Western Charm depicted by the donkeys who still walk up and down Main Street. Continue on route 66 until Seligman and Williams before going north towards the world’s most famous canyon: the Grand Canyon. Our advice: We recommend that you let yourself be tempted by one of the most exquisite visits: a helicopter ride above the Grand Canyon. Today drive into Navajo territory, made famous by the films of John Wayne and many other westerns. 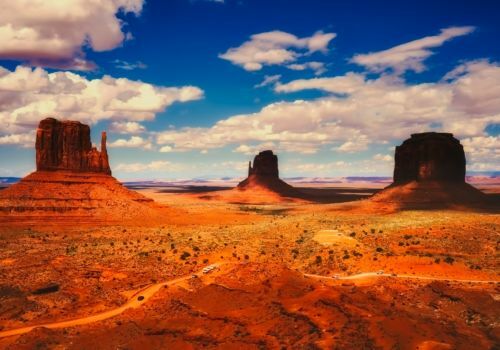 The red-sand desert region on the Arizona-Utah border is recognised for its towering sandstone buttes. Our advice: You could go on an adventure in a 4×4 and discover parts of the reservoir unreachable to most for an experience that will thrill any traveller. Drive to Page – the city on the edge of Lake Powell, created by the damming of the Colorado River. 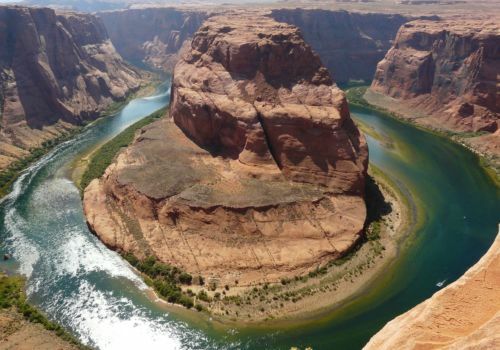 Why not let yourself be tempted by an excursion in Antelope Canyon or a cruise on Lake Powell? 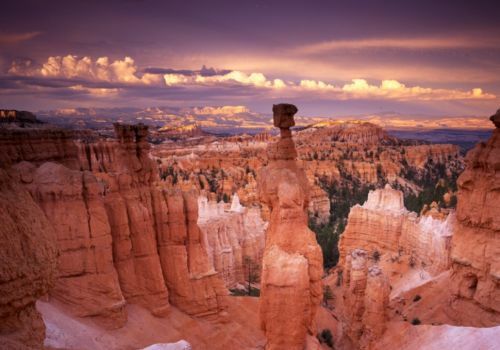 Today head towards Bryce Canyon, one of Utah’s most beautiful national parks. You’ll see stunning hoodoos (odd-shaped pillars of rock left standing from the forces of erosion) and other incredible sights. Photos don’t do this area justice. You will go from the calm and serenity of the parks to the lights extravagance of the legendary city. 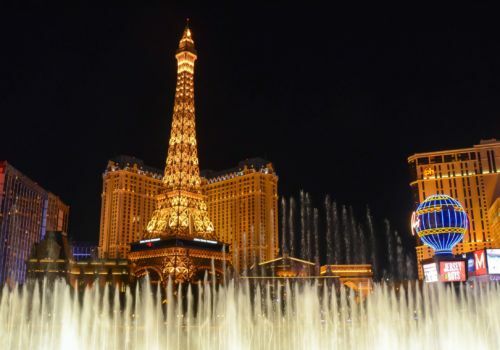 An oasis lost in the desert of Nevada, Las Vegas is the city where luxury and entertainment are at its finest as the lights, games, glitz and stars shine throughout the night. Continue your journey towards the legendary region of Death Valley and its spectacular lunar landscapes. 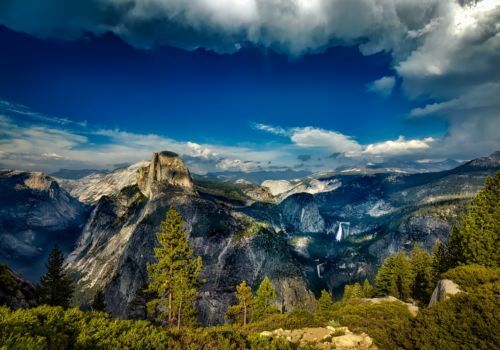 You will take the road of the Sierra Nevada to Mammoth Lakes renowned ski resort. Do not miss either the Mono Lake or the ghost town of Bodie. (The crossing of Yosemite from east to west is impossible during winter, so if you’re travelling during this time we recommend stopping at Bakersfield instead). You enter Yosemite by the Tioga Pass (open from May to October). Explore this park with its granite domes, spectacular lakes and waterfalls. Route towards the Pacific to reach San Francisco, the cultural capital of the American West which has one of the most beautiful bays in the world and perhaps the most diverse population in the country. Explore the Castro, the Golden Gate Bridge and world famous Alcatraz. Ride a cable-car on a steep hill, go to Chinatown, see the Golden Gate Bridge, go shopping in Union Square, or visit the famous Alcatraz prison. Our advice: Combine the visit of Alcatraz, the prison famous for Al Capone with a tour of the city by bus to maximise your experience. Don’t forget to drive down what’s claimed to be the most crooked street in the world, Lombard Street and be sure to enjoy the gay nightlife in the Castro of an evening.